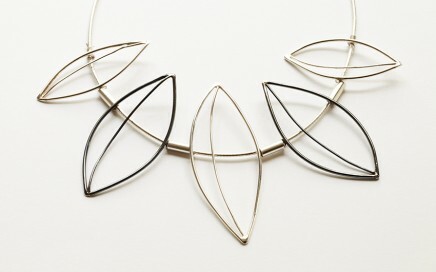 Representing leaves, the sculptured recycled silver wire is crafted into elliptical designs, some oxidised. Each design is attached to the neckpiece. 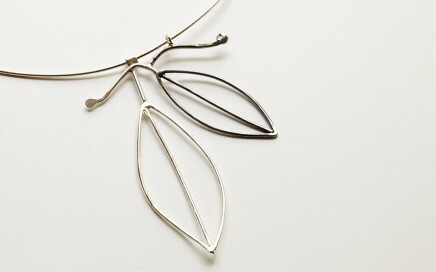 Sculptured silver wire leaves, some oxidised, on a neckpiece. 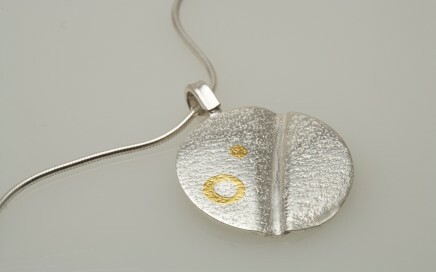 Textured silver disc pendant decorated with 24 carat ethical gold. With an intended line running through giving the pendant contours and movement.